Grilled Shrimp Fajita Skewers with shrimp, bell peppers and onions in a homemade fajita mix that includes chile habanero red hot sauce. 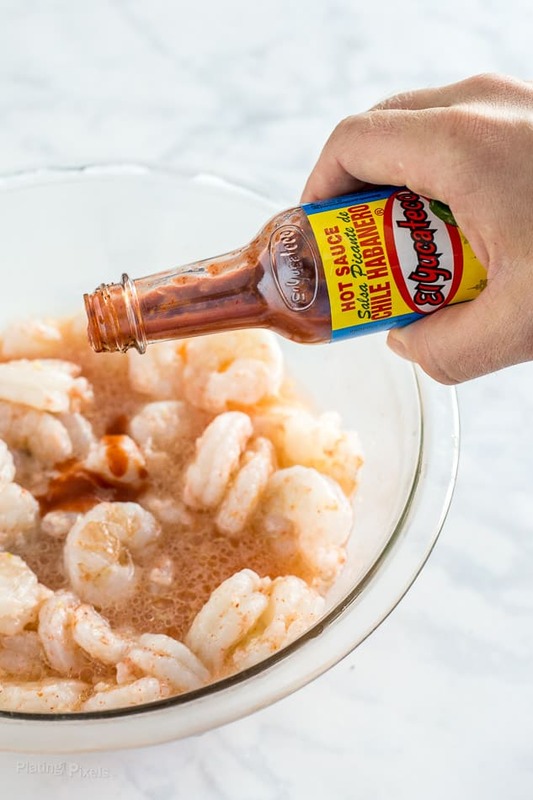 This Grilled Habanero Shrimp Fajita Skewers recipe is a sponsored post in partnership with El Yucateco Hot Sauce. The recipe and opinions expressed are mine alone. I can’t seem to get enough grilling this summer. It’s one of my favorite methods of cooking and I’ve been taking full advantage of the longer days and nice weather. Pair that with a few beach trips and plenty of local Bay Area hikes, and you have a great way to enjoy all that nature has to offer. 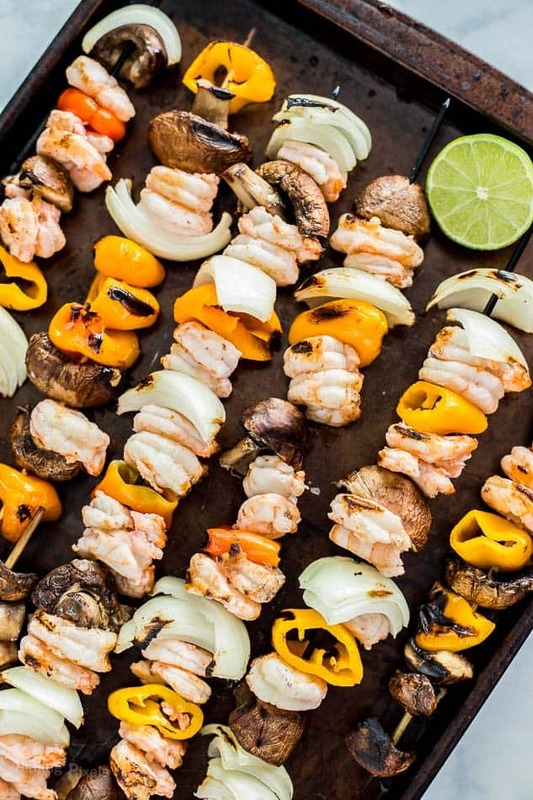 After a revitalizing day outdoors, cool down with these Grilled Habanero Shrimp Fajita Skewers. That’s a figurative expression of course, as these have plenty of kick thanks to habanero hot sauce. These shrimp fajita skewers are quick and easy, and won’t take away from your time for summer fun. 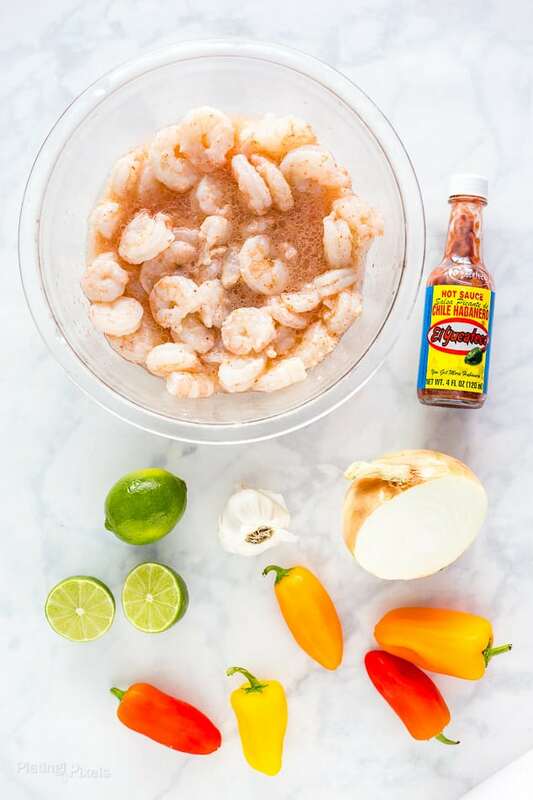 Simply combine fresh shrimp, bell peppers, onions and other veggies of choice with lime juice, garlic, spices and El Yucateco Chile Habanero Red Hot Sauce. 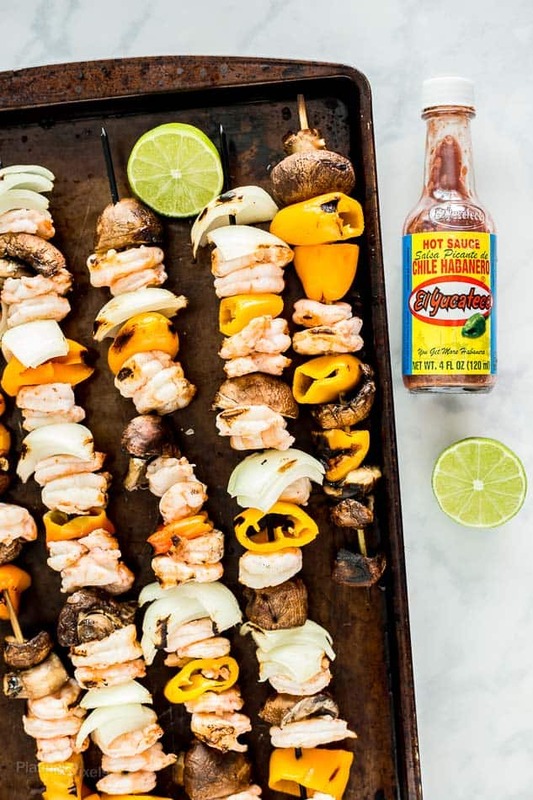 A little hot sauce goes a long way to add flavor and kick to these Grilled Habanero Shrimp Fajita Skewers. It’s an easy way to add bold, unique and flavorful meals to your summer menu. Marinating takes as little as 30 minutes, but longer time will infuse more flavor. Then grill 5-10 minutes for a wholesome summer seafood recipe full of lean protein. Another great way to enjoy the outdoors is to prep these ahead of time, then bring to a park or the beach to grill. Thaw shrimp in fridge if frozen and remove tails. Core and cut bell peppers into large chunks. Cut onion into wedges. Place shrimp and all veggies in large sealable bag. In a small bowl stir together remaining ingredients until combined and pour into bag with shrimp. Seal and shake to evenly coat. Marinade in fridge at least 30 minutes and up to 4 hours. Preheat gas grill to medium-high heat. 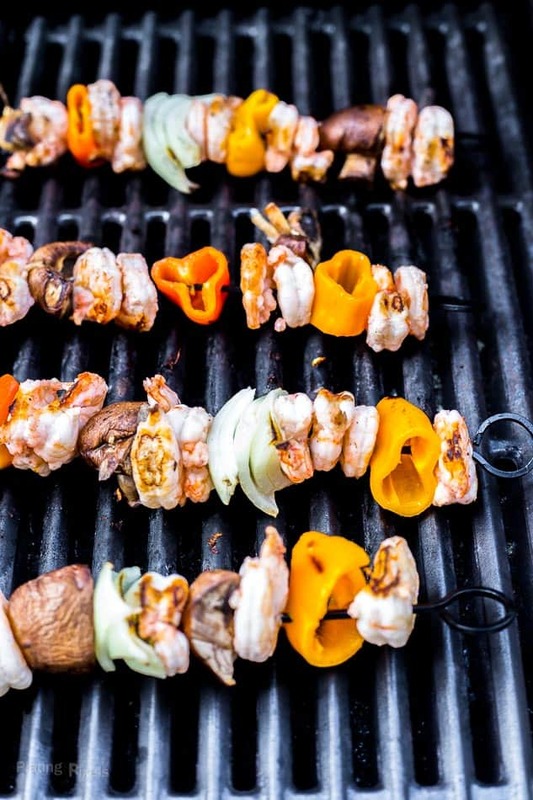 Alternate shrimp and veggies onto metal or wood skewers, discarding marinade. Add skewers to grill, close and cook 3-5 minutes, until bottoms are seared. Rotate and cook 3-5 minutes more until shrimp is opaque and veggies are tender.